One of Obama’s main campaign promises in 2008 was that he “will not let Iran go nuclear”. And 5 years later, he has kept that promise with the same degree of integrity and fidelity that Obamacare allows you to “keep your plan if you like it“. All politicians lie, but Obama has set a new gold standard for deception. 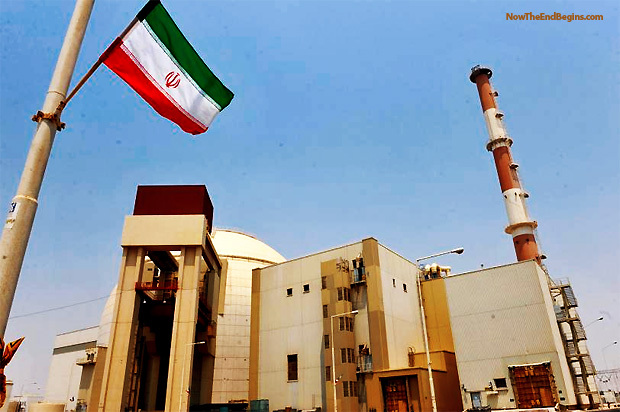 TEHRAN, Iran (AP) — Iran’s official news agency is reporting that Iran and Russia have discussed a draft agreement to build two more nuclear power plants in the Islamic Republic. The report Wednesday by IRNA said visiting Russian official Nikolai Spassky and Iranian nuclear officials reached an initial agreement about building two new nuclear power plants for Iran. Each plant would have 1,000-megawatts capacity plus water purification capabilities. It said a formal agreement would be signed later. It did not elaborate. Iran built its first nuclear power plant in southern port of Bushehr with Russia’s help. That plant has been online since 2011 with a capacity of 1,000 megawatts. Ezekiel 38 – The Battle of Gog and Magog from Now The End Begins on Vimeo.